The history of ACCRA Premium Golf Shafts has accompanied that of the most innovative sector of the golf industry. ACCRA Golf shaft sales has experienced significant growth in each of the past seven years, becoming one of the most successful launches of a new shaft brand ever. ACCRA Golf is a division of Premium Golf Management Co. (PGMC) and is involved in the design, development, production and marketing of premium golf shafts destined specifically for the high end aftermarket segment. ACCRA Golf focuses on the high-end segments characterized by elevated technological contents and high performance. Drawing on its technological expertise, PGMC has consolidated working relationships with the world’s leading professional Club Fitters; partnerships have translated into ACCRA becoming a leader in providing the golfing public with the best custom fit shafts on the market. ACCRA Golf prides itself on creating the best possible innovative products with the primary concentration on custom club fitting. No shaft company is more dedicated to the Professional Club Fitter. Innovation and research represent the distinguishing traits of ACCRA: a company that has embraced the challenge of new technologies with the primary aim of creating value. We attribute significant priority to the improvement of performance combined with the partnership with the world’s most talented professional club fitters. ACCRA Golf is a company with a short but impressive industry heritage. Since 2004, it has developed into a truly international enterprise, while remaining deeply rooted in the diverse national markets. Our competitive strength is founded on our technology, research capabilities, innovative concepts and the professional skills of our human resources. Constant attention to market requirements allows us to produce and market complex products of high quality, and to successfully market to our various international customer bases. Our conduct is regulated by an ethical code applied consistently and responsibly by all of ACCRA Golf’s employees and fitters throughout the world. The excellence of ACCRA’s corporate governance represents a systematic and prioritized commitment by the company’s higher management. Our management strategy is based on an optimum balance of direct responsibility and teamwork. We shall be capable of financing our continued growth with the creation of appropriate value in the interests of our customers and employees, while respecting the consumers in which the company services. In 2002, Dave Makarucha and Gawain Robertson created PGMC, beginning with a relationship with Royal Precision and then United Sports Technologies (UST) as agents for the Canadian market. 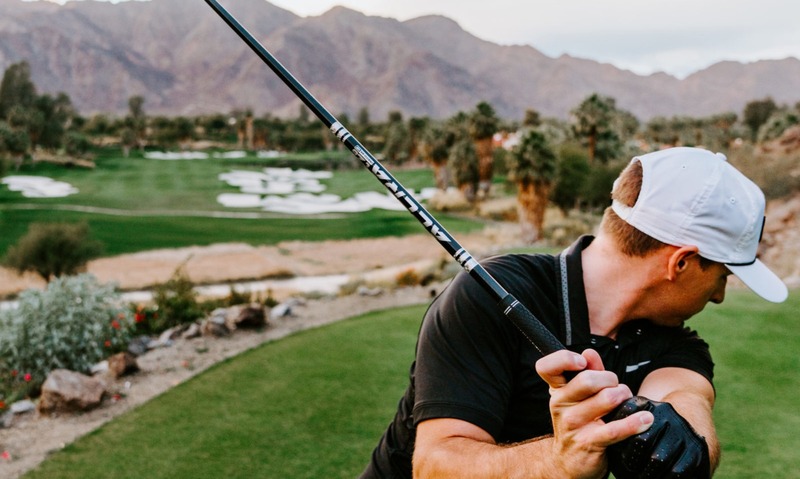 During the first two years of successful growth, PGMC realized the need for a truly premium golf shaft company dedicated to professional club fitters. Thus, a product that catered to the discerning golfer who truly cared about being professionally fitted for their clubs. This has been the concept behind ACCRA since its inception and continues to be that way to this day. In January 2004, the program began to develop from a concept to reality with an agreement to exclusively license the brand name ACCRA from UST. The development of an entire line of shafts dedicated to club fitting was created and by May of 2004, ACCRA Golf Shafts were introduced at the Byron Nelson Championship. 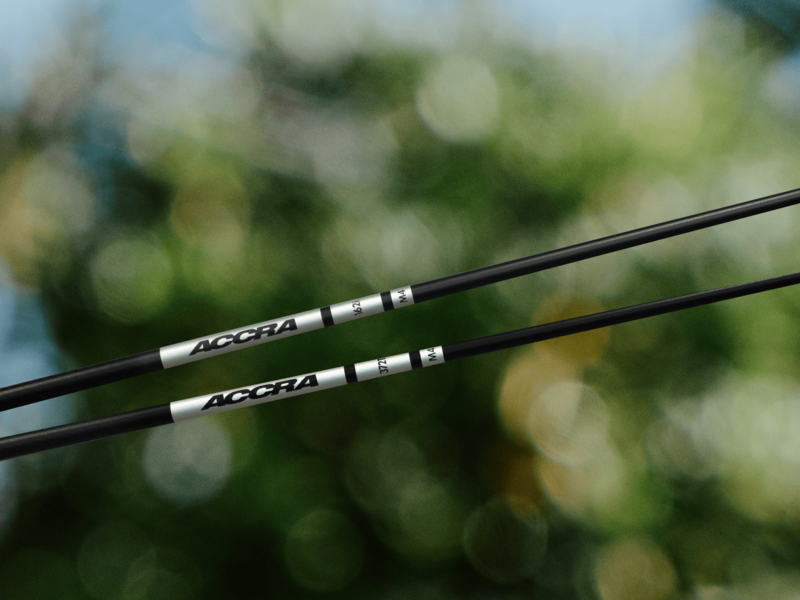 Fourteen PGA Tour players put an ACCRA shaft in their bag that first week and ACCRA has never looked back because of the continued success on Tours around the world. During the first few months of 2004, ACCRA’s philosophy was adopted by a number of the world’s most successful and technologically advanced fitting studios. This, along with Tour success, gave instant credibility to the brand. More than 50 Tour victories around the world and distribution through more than 350 fitters in 24 countries has turned ACCRA Golf Shafts into a market leader. In 2007, PGMC purchased all rights to the ACCRA brand and intellectual properties, creating a totally independent brand and constantly continues to research innovative methods to provide golfers with the best performing golf shafts available. ACCRA Golf is dedicated to developing golf shafts with innovative technology for the discerning golfer. ACCRA Golf believes that the only way to purchase a high performance golf shaft is to be fit by the world’s best club fitters (Certified ACCRA Fitters). Creating an exceptional relationship with customers with constant communication being the key to ACCRA’s success. Certified ACCRA Fitters are knowledgeable professionals who represent the ACCRA brand with dedication and loyalty. ACCRA certified fitters form the front line of service in the golf industry and who better to provide input into the creation of new products than fitters themselves. Many of ACCRA’s club fitters have been significantly involved in the development of past and current successful ACCRA designs. Another source of design concepts comes from the responses received from the world’s greatest golfers. ACCRA Golf has been privileged to be trusted by many PGA Tour professionals and we are grateful for the constant feedback received during the product development cycle. ACCRA Golf’s parent company is Premium Golf Management Co. (PGMC). PGMC maintains several key business divisions and strategic partnerships. ACCRA Golf is the key division of PGMC, with ownership and complete control of all aspects of this brand, PGMC continues to look for different avenues to grow the brand while remaining true to it’s philosophy of custom fitting and relationships with club fitters. Key manufacturing and logistic partners have enabled ACCRA Golf to concentrate on product development, sales, marketing and customer service. ACCRA Golf continues to be an industry leader in the premium golf shaft market.